Then she made...: Sock It To Them! Last night church volley ball started for my daughter. In an effort to make it a better year than years in the past, we decided to try and help unify the team. 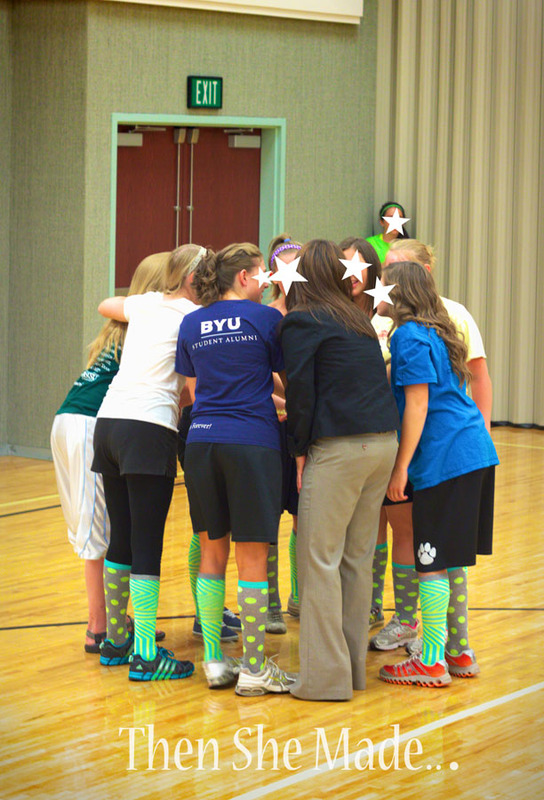 Our ward is fairly new so the girls don't have team shirts or anything that defines them as a team yet. Miss M, who has a kind heart, wanted to do something to help. Turns out all we needed to do was do a Target run and buy funky socks. 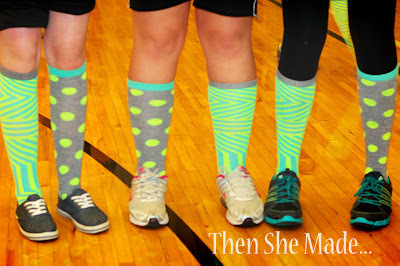 We bought several pairs of the stripped socks and also several pairs of the polka-dot socks. Then Miss M took them out of their packaging and mixed them up. She rolled one polka-dot sock and one stripped sock up and made a new pair. Then we added a little tag and she gave them out to all the girls on the team. The tag said "Go Team! 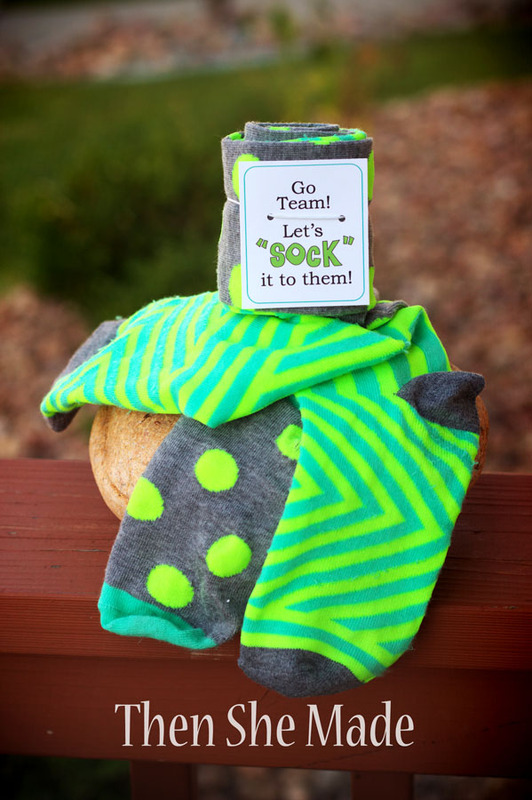 Let's SOCK it to them!" 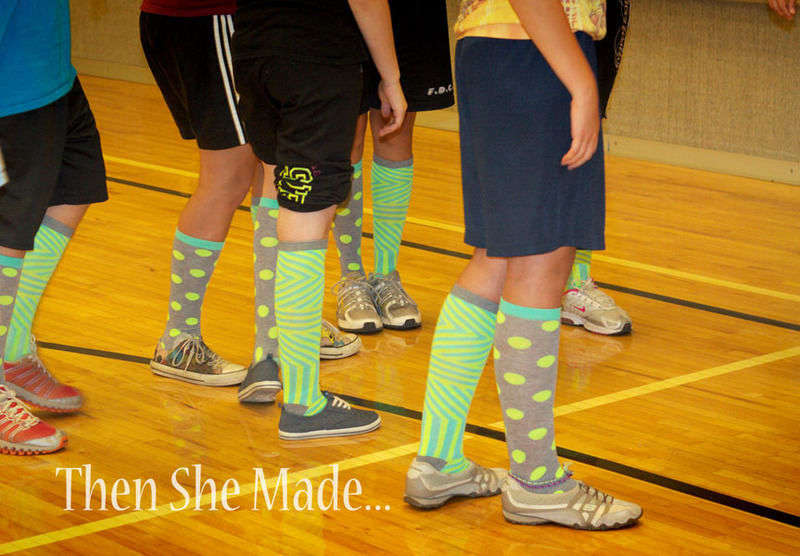 It was pretty fun to see the girls all wearing their crazy socks. I think I want some too! Great idea! I bet the girls loved it! What a great idea. Miss M has wonderful team spirit. 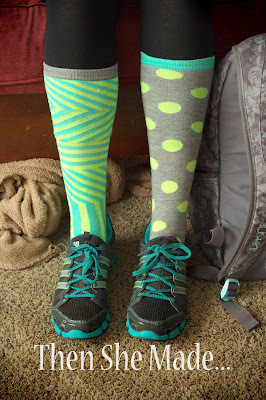 You should look at www.mysoxyfeet.com these are the kind of socks they make, and they are so comfy! Love the idea and the look!